Out of their frank discussion comes this book, an international bestseller translated into twenty languages. Ben Jelloun has created a unique and compelling dialogue in which he explains difficult concepts from ghettos and genocide to slavery and anti-Semitism in language we can all understand, and adds an all-new chapter for this edition. Also included are personal essays from four prizewinning writers and educators who themselves are parents: Patricia Williams, David Mura, William Ayers, and Lisa D. Delpit. 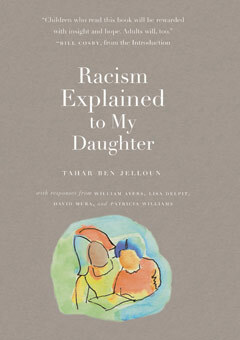 Elegant and sensitive, Racism Explained to My Daughter is for all parents and educators who have struggled to engage their children in discussions of this complex issue. Carol Volk translated Ben Jelloun’s novel Corruption. She lives in Washington, D.C.